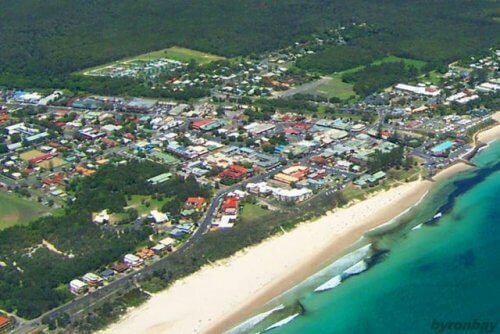 You may not have noticed, but the NSW government on Monday seriously modified its “come on down” attitude to holiday lets in the state – at least as far as Byron Bay is concerned. Last year, on the brink of announcing that it was throwing open the doors of our homes to online outfits like Airbnb and their ilk, then confronted by a revolt in their own ranks, the government hastily cobbled together a plan that said there would be limits of 180 nights per year for commercial lets of residential properties in Sydney and no limits in the regions, except for a few special cases. They also allowed apartment blocks to pass by-laws saying they wouldn’t allow short-term letting. So far, so not as bad as it might have been (like Tasmania where there are no restrictions and the government has had to pay landlords to put their properties back in the residential letting pool). But then, lo and behold, Byron Bay gets its own Airbnb laws, meaning the shire council can restrict holiday lets of residential properties to 90 days, max. Now, Byron Bay has been a basket case for residential lets since long before the internet was created, let alone Airbnb. It’s been known for ages that local people couldn’t find homes to rent and then couldn’t afford them when they did. But the advent of Airbnb has meant that even the dimwits who couldn’t place a holiday let ad in a real estate window, could suddenly attract tourists from all over the world. The situation has been getting steadily worse for a couple of years. So why is the government only seeing this problem now? Could it be that a once safe seat was “stolen” by the Greens at the last election, but is only held by a slender margin of just over two percent. Local member Tamara Smith has been doing the hard yards over holiday lets but it was MLC member and nationals candidate Ben Franklin (I kid you not) who was standing next to Planning Minister Anthony Roberts when he announced that Byron’s special needs are about to be addressed. So where’s next for the Airbnb by-pass? Liberal Bruce Notley-Smith is looking pretty shaky in Coogee and with Coalition support slipping, he could do with some help if he’s not going to be booking his own Airbnb for a long holiday come polling day. Meanwhile closer to home, the Flat-Chat Forum has been firing up again. And, appropriately, one reader wants to know if strata committees can ban short-term holiday lets. The answer is no, not committees, but the Owners Corp can pass by-laws that ban STHLs, although you can’t restrict or limit them. What? Ban but not restrict? It’s all explained HERE. Who pays when water from another lot damages a carpet that’s well past its use-by date anyway? That’s HERE. Owners in a small block have a verbal agreement that they’ll maintain and repair their own balconies … only one of them is falling apart and the owner refuses to fix it. That’s HERE. It looks like a common property tree has created a leak in a water pipe and now the lot owner has received a water bill for more than $2000. Who pays? That’s HERE. A Melbourne reader is having a problem with commercial interests who have hijacked a stack of proxy votes and are running the block to suit themselves. We wondered what sort of grounds there might be for taking them to the Tribunal (VCAT). We found 25. That’s HERE.